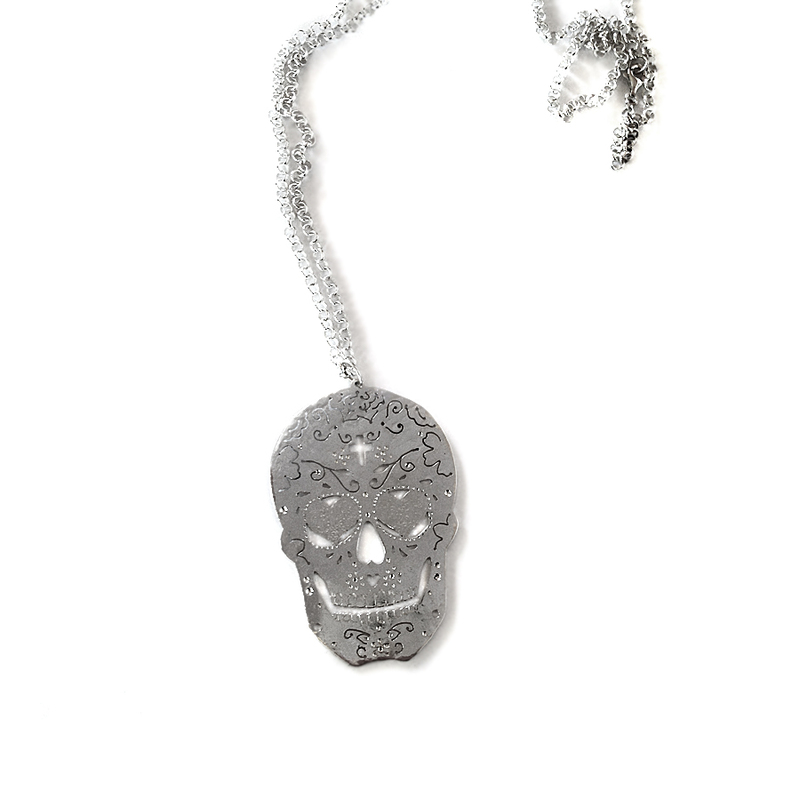 Maxi Charm with chain, in the theme of Dias de Los Muertos. Made from classic Mexican graphics, translating the colors into openwork and engravings. The details: light games were made with thin tips and then cut by hand with the saw. The skull was then hammered lightly and mirror-like polished.